In this increasingly data related world, visualizing your research is important. There are lots of old school ways (Excel, SPSS...) which give straight forward data in correct (rather square) graphics, but now you can add some extra 'Umph' to your complete data overview. The online analytics blog: Juice Analytics (which features a lot of free tools and open source apps) just released a wonderful post on analytics applications that will pull your data into the new visualization era. Two data applications that are mentioned in the Juice analytics blog caught my eye: the IBM's many eyes one and the mobile data application RoamBI. The latter is only available for the iPhone mobile device (a pity). Many eyes: is a really easy to use visualization application that enables you to quickly put your data in a visualization AND interact with people in the familiar 2.0-way. If you are into the whole social media feel, this application feels familiar. 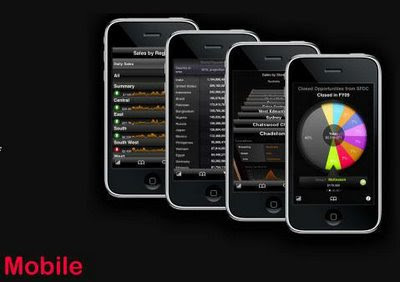 The RoamBI app allows you to show statistics on the go or roam through them as you yourself are on the road. The visuals are compact, but you can slide through them in a nice way. But to be comprehensive and keep an overview the desktop applications will be advisable, but to keep in touch with data while on the go, this mobile app gives a nice extra. For both applications you need to register to get going. Augmented reality is the natural next step off technological mobile applications. Augmented reality gives you just that bit more information when and where you need it. Layar is a Dutch app, build by Claire Boonstra, Raimo van der Klein and Maarten Lens-FitzGerald from the sprxmobile company. Layar builds on the Android platform. It gives the mobile user immediate feedback on what the camera of his mobile is 'looking' at. The extra information is displayed in layers. You can switch between layers as well. The examples mentioned are mainly commercial (estate prices, restaurants, hotels...). But this application might be very interesting for educational purposes, to get learners out in the street and amongst the topics they need to learn. Now that is ubiquitous learning if you ask me. And, if you would link augmented reality to the semantic web, we would probably have something like the fourth dimension. Cool idea. At this moment Layar is available for the T-Mobile G1, HTC Magic and other Android phones in Android Market for the Netherlands. Other countries will be added later. It does feel as though the world is becoming less and less surprising though. If everything can be viewed and found... there is not much left for exploration. Unless you are looking for a rundown, very dangerous ghetto to track down a homeless person... those people and areas will probably be the last to be added. I hope humanity will build star-travel-ships soon... need to have some surprises in my life. 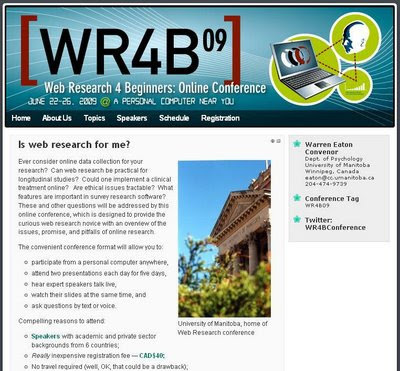 For the researchers out there that are interested in using online sources to build up their research, this is a great meeting point: the Web Research 4 Beginners Online Conference. Starting 22 June up until 26 June, during five days, two presentations a week will be given by a variety of speakers. The conference is hosted by the University of Manitoba, home of Web Research conference. They even have a conference tab for any kind of following purposes: WR4B09. The conference is multidisciplined, with international speakers and it can all be followed wearing your pyjama's or any which way you want to. "Is web research for me? Ever consider online data collection for your research? Can web research be practical for longitudinal studies? Could one implement a clinical treatment online? Are ethical issues tractable? What features are important in survey research software? These and other questions will be addressed by this online conference, which is designed to provide the curious web research novice with an overview of the issues, promise, and pitfalls of online research. ask questions by text or voice. If the topics look interesting and the schedule works for you, register now." Today I tried out the newly launched Opera Unite application. It got to my attention through Chris Mills from Opera who published the introducation to Opera Unite just today. The general idea is quite straight forward: you download the latest Opera Unite version for your OS and you install it. After that you enable the Opera Unite server by using the Opera Browser, clicking on the 'tools' tab, choosing 'opera unite server' and enabling it. At this point you do need to subscribe to this service (giving your username, password, e-mail address) like you would with any other social media app. From that moment onward you can share what you want with who you want. What is this app about? Well, it gives you the possibility to build user/learner groups and exchange files (documents, pictures), use chat-service, leave notes... without having to go through another one's server. 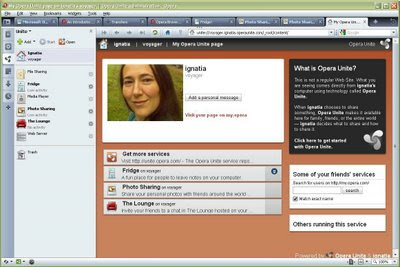 Opera Unite makes your computer into a web-server in which you can host both websites, chats and file transfers. Once you launched the Opera Unite service, you can try out some of the ready made features, but the people at opera also offer the possibility to roll up your sleeves and start developing your own set(s) of tools. So what does this add to the already existing landscape of apps? 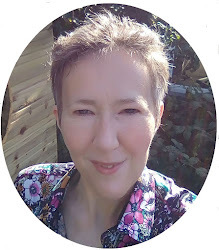 To my knowledge it will give me the possibility of instantaneously starting up a learner group, keep in touch with people I need to work with closely and within the 'natural' environment of the web. And of course Google comes close, but lets face it ... this is Opera, jeej! Although Opera mentions that the Unite server does not have trouble with firewall settings, I have not tried it thoroughly enough, but it does seem to live up to that claim. In a nutshell you can see how they promote their general launch in this post. I only started it, exchanged some files and photos and I must say it works swiftly and quick. At first glance, I like it! Ubiquitous learning aims to realize a learning process and/or outcomes free from teachersʼcontrol and intervention. Despite such characteristics, ubiquitous learning should be designed to achieve quality learning outcomes and a high level of learning. How can we describe such high quality learning without alluding to instructional objectives? So he looks at the conversion from a teacher lead instruction to a teacher growing by learning his/her practical experiences, while looking at learners that want to become teachers. I taped rather a lot because this presentation also gave an overview of how the shift from teacher/student went into more autonomous learning. The presentation focused on the mentality shift from the more teacher-student oriented approach to more autonomous learning and especially the process Haruo Nishinosono went through as he was trying to make this change happen. So he takes the audience along his ever changing educational approach leading up to where it is now. This feels like a necessary process, as history or the processes behind a result are sometimes forgotten or not archived. Although the quality of the movie is not optimal, I do hope it adds an extra layer to the slides. In addition I found slides from a previous presentation, some of the slides are similar, others different with more text, so the combination of both the movie and the other slides, I found complimentary. I hope you do too. Meanwhile I will ask the shown slides as well... I'll keep you informed. #jobat for luckiest employee or wondering why I find it hard to sell myself? Calling for your help, because there is this weird feeling that I cannot seem to put my finger on. I think that as educators we can promote others, we can promote our learning, our projects... but we loose the ability to sell ourselves. This week I got selected as one of the ten luckiest employees in Flanders, which is motivating in itself, but something happened during the interview, and that has happened to me when I apply for a job. So my question to you is: how do you sell yourself (as a person who is into eLearning/learning) and is it easy for you to do so? The 10 luckiest employees were chosen based on a written, more general statement and the writing part is somehow easier to produce, because it focused on the institute that I work for and I can sell that, because I like it. After this selection a personal interview followed. All ten of us laureates of this competition (the real finalist will be chosen next week and is chosen based on an interview they took from all of us) needed to do an interview with a jury of 5 people. They asked questions, I answered and after the interview I suddenly found myself wondering about what I said and especially what I did not say? This made me think... I did mention my employer during the interview, I did talk about a lot of things, but I somehow managed not to talk about the things that make me get out of bed and jump into eLearning and into work? How strange is this? I did NOT mention the fact that I use new media with great pleasure, that I can travel, that I can discuss my research with peers in many ways, that I love the international aspect... all of these factors make the difference, so why did I just focus on the working environment in general and very little on myself? So is anybody out there having the same experience? Could this be part of being an educator that is mainly focused on improving others? 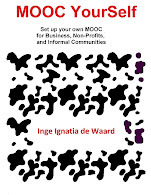 It is fully downloadable from this site either as individual chapters or as the whole book in pdf form. This online book describes a study, funded by Australian Learning and Teaching Council (ALTC), that involved teachers in the Faculty of Education at the University of Wollongong implementing innovative teaching approaches to support mobile learning. Palm Smartphone and Apple iPod technologies were used by undergraduate and postgraduate students to assist their learning across a range of curriculum areas. The book outlines authentic activities, assessment strategies, and professional learning approaches that teachers across the higher education sector can easily adapt and implement within their own discipline areas. Thanks to IAmLearn to send this new information around. This is a link to the poster presentation I gave today at EDEN09. During this conference mobile learning was not really mentioned a lot. So how universal is our consciousness and how do we use it for education? The right to be not-informed is also a human right, yet because of the rise of the media push we know things we do not really need/want to know. His question: the future of our community, what is it? 19th century had a fixed set of ideas: more freedom, more health, more education. The quest for freedom was clearly stated. If we look at us now, a lot of us lives in good situations, but ... what if everyone hops on this 'developed' way of live? So, what about the genotype? Should we look for something better with scrambling the genotype. So do we use technology for improvement or not? And, what is improvement? This is a mental question, it is philosophical. Are we sincere in striving to get better human rights? No, not most of us, because we cannot give everyone cars, poluting technology... But if all new wealthy people in the world would want to spend their time at the beach, there would not be enough beaches. Museums would not be able to cope with all the interested people, virtual visits are the solution... so what does this mean, This means that some of us now use the means that not all of us can use. Does anyone have thoughts on what Kriszoph talked about? I am plee for more ethics, but indeed it is not easy to walk the talk. (I will be quite critical on this speech. This is not that fair, as I like and admire Gilly Salmon a lot, but being critical is part of me and this is how I build my mind. And knowing what Gilly knows, I have of course very high expectations). Quoting Charles Dickins (1859) from 'tale of two cities' intro... really beautiful to use. 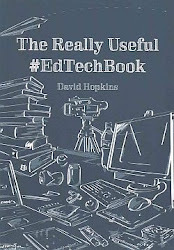 We have the responsibility to deliver the 'best' resources for education (remark: but what is best, because the cultures are not equally placed to dive into new (technological) learning. She pleeds for herassy, as herassy is the way research and science moves forward (think Darwin, see part of the movie). Synetics are essential: bringing together learning and technology, the idea of creativity and technology and pedagogy. The virtual world of the Media Zoo is shown. Gilly stops with a question to implement more art and other disciplines in learning (I am cheering when I hear this! Yeah!!). Mentions that online students get better grades. He links to cases of succesful students, which is nice. He mentions that the first lms in his uni was built in 1986, the first web-based courses in 1996. Look at the ppt if you are interested in the NKI innovations and especially the student cases. He ends with saying that transparency promotes cooperation. Why is Polycom a head sponsor, yet they do not stream any of the sessions? Why does an eLearning conference play a pre-recorded speaker (yesterday) during a plenary? Why not put a link to that speaker prior to the conference, with the option to send her/him remarks that can be answered by that speaker. This way that specific recorded speech might generate more interest than the others. But just watching a very one-frame set movie in which one person talks not altogether dynamic does not make much pedagogical, learning sense. And why did the live polycom connection go to New York, when I know Polycom enables users in low resource areas to connect as well, so it would have been an extra to also go to a different global world. They could put themselves more in the picture I guess. Workshop "New methods and Approaches to the desing and evaluation of open educational resources" by Grainne Conole, Patrick McAndrew, Julliette Culver, Andrew Bbrasher, Simon Cross, Tina Wilson from the Open University of UK. The workshop will introduce participants to use a range of tools, methods and approaches to designing and evaluating open education resources (OERs). The session will include an overview of the OLnet initiative which is a new global network of support for researchers, users and producers of OERs. Participants will have achance to try out some of the tools that have been developed as part of the OLnet and to discuss relevance and application to their own practice. This was a nice workshop, because it immediately gave the participants a better insight of what design is and how it can impact OER. Now, I know you think 'I know what design is...' but this workshop pushed the fact that you need to make the design as explicit as possible, to enable the learners to adjust the design (if you want to, but is nice if you want to go student-centered). although design is a core aspect, it is very difficult to describe the design process. So how do we go about to improve the design, to increase learner demands/needs. sometimes design needs to be rethought while the course is running. Additional problem, the teachers or SME that are asked to design a course by themselves... it is not there core business. So OU UK has been looking at ways to describe design (visual representation is given). What they do is that the design is explicitely clear for the learners as well. Because the OER's design is explicit, you can test it and ask students to enter the design. So students are asked to give their description of a resource, this is coupled back to the other students and this results in a the overall description. With this explicit design, the teachers are asked to get to work with an explicit design in mind. How to empower innovation within the huge diversity of different learning situations and settings? Using an innovative presentation format the Beyond Distance team will offer the participants transferrable ideas for successful integration of learning technologies into teaching practices in higher education, using examples from their own innovation to practice experience. The workshop lead by Gilly, Matthew, Ming and Ricardo was based on group discussion or better yet, on exchanging personal experiences in new technologies for learning. I had the pleasure of being part of a dynamic and very experienced group, so we exchanged quite a lot of ideas and build upon each others experiences. The format of the group was build around a given framework of the Beyond Distance Research Alliance team, a framework they put forward to the ministry to get funded (the framework was build in 2005 and has recently been adjusted to fit the latest developments in eLearning - look for the 4 piece structure in the movie). To get everyone in an open frame of mind, the opening question was: who is which animal (at this point in time) related to learning (I felt I was a Bonobo monkey for instance: very peaceful and loving, creative, playful and always interested in using new gadgets, our group also had a fish, a mother goose, a bird and a dog for different reasons and ... this approach started us all thinking. So, getting back to the 4 pieces, each of them was zoomed into by means of a pecha kucha kind off ppt (with music), after each part a question was launched to the group. After discussing this question for 5 minutes, one of the groups chaired there conclusions to the given questions with the other groups. "The use of a peer-assessment and a reflection report to measure collaborating learning efoorts an interdisciplinary project for studetns of the faculty of teacher training, the faculty of social work and welfare studies, and athe faculty of health care" by Kristof Uvijn, Hogeschool Gent, Belgium. A nice person with glasses, a black shirt. Problems: would they use it to promote the learning process, or only for evaluation purposes? They have a midterm evaluation to get the students more at ease with the technology. The students are not face-to-face, but only see themselves 5 times throughout the year. The students are all in their last year before finishing, so the better students. Blended learning with the classic face-to-face meetings at beginning and end an two virtual field trips. The question for the students: construct a science teaching unit. They use a synchronous teaching platform similar to Elluminate and also asynchronous possibilities. students with disabilities participate more in an online course than in a f2f-course. These students also evaluated the course much more highly than the others. The final grades were also higher than the others (the others included the 'excellent students'. why: because disabled students had to learn on their own anyway, they were better at time management (they do not have to wait for pick-ups, or other time consuming actions). online courses allow them more flexibility which is motivating for them. As I am writing, I will post my thoughts between brackets always introducing them with 'remark'. why is our educational environment new? She responds from a organisational university mindset, not pedagogical. (remark: as soon as this speaker talked about design - her topic - her voice and her emotion as she spoke became more interesting. I would have loved to hear her talk on how new technologies could influence design and the overall city/street/housing landscape. She would do it with enthusiasm and it would be interesting - for me), in the end she mentioned it a bit. She ends with an interesting question: What happens with creativity at the universities. She mentions interdisciplinary actions and people and ... architecture. She mentions that students as well as staff could get space in the uni to play and develop their ideas, so whomever got an idea, could ask to develop it... that sounds really now and good! She gives some multi-disciplinary examples and those are nice (an example in the movie). What have we learned from it? The european innovation gap: how to go from innovation desire, to innovation policy and eventually innovation achievement. Unfortunately each step is slower than the previous. a bit of a monotone voice, so my hyperbrain runs off with me from time to time. He has grey hair and a nice suite. there is a lot of new informal learning done with the use of social media, so the dreams of a lifelong learning society can become true (at least for some of our citizens). So learning could become more organic at all levels (community, society, individual). Claudio is focusing on 10 imperatives for change beyond 2010 coming out of the learning innovation conference in May, Brussels. Claudio emphasizes that keeping an open mind is essential to allow innovation and especially innovation achievement. "What must We Invent for Tomorrow? Five Critical Foces that will challenge the US Learning Community (and perhaps yours) to Innovate the Future by Nicholas H. Allen, University of Maryland, US. Will disperse his slides later on he mentions. eLearning is a revolution, but it is a revolution and change is in the work. So what needs will be addressed, what demographic shifts will make a difference, what about competition. An interesting speech on the forgotten group of learners that are the online and lifelong learners. Educational policies focus on traditional education, but this no longer fits the bill. Emphasises the important research results and tracking systems (there are no studies that indicate the impact of OERs). This is my first time at EDEN, so really interested in what to expect. Innovation and Creativity are keywords for me, so I have high expectations for this conference. The last conference that really blew my mind was mLearn08, so hoping for a similar experience. What will I be watching out for? Remarks on new learning methods that result from the new technologies we are using, using technology the way art people do (quite innovative and regularly out of the box), mobile learning that redefines the way we as learners perceive the world. Remark, although I wanted to copy paste from the proceedings, allowing comments to be put in as the speakers proceeded, there is a very strict copyright on these proceedings. All eLearning conferences would benefit if they gave a bit more slack (in my opinion) and allowed people to redistribute content, by using a Creative Commons License for instance. So sorry, but I will not be able to copy/paste and add extra information, you will have to do with my sometimes chaotic way of writing. "What must We Invent for Tomorrow? Five Critical Foces that will challenge the US Learning Community (and perhaps yours) to Innovate the Future" by Nicholas H. Allen, University of Maryland, US. "The use of a peer-assessment and a reflection report to measure collaborating learning efoorts an interdisciplinary project for studetns of the faculty of teacher training, the faculty of social work and welfare studies, and athe faculty of health care" by Kristof Uvijn, Hogeschool Gent, Belgium (sorry no picture, kristof get your stars out!). Using an innovative presentation format the Beyond Distance team will offer the participants transferrable ideas for successful integration of learning technologies into teaching practices in higer education, using examples from their own innovation to practice experience. Big Question: is my time schedule ruled by the new media? Big question of June launched by Tony Karrer via the Learning Circuits Blog is: where is your time spend? or how to cope with all the time that goes into using new media for different purposes. This question comes at a very crucial time as my time seemed to be slipping between my fingers the last couple of months. But let me start with the past. I never was a fan of letting instruments control my life. I used to unplug my phone, sometimes for a couple of weeks (while I was home, it is easy if you are on holiday), throw away my television set (sometimes drastically), unplug any appliance that could possibly interrupt the peace of mind I wanted to have for a longer period of time. Once I began to use a computer for communication purposes, I just copied the above and unplugged the computer from time to time. No worries. But in the last couple of years the communication channels have grown exponentially and this has put my time on the line. Apart from the fact that a computer/laptop/mobile device costs more than a television set, I hesitate cutting myself off from my social media tools. Because social media is so social, I feel that I am casting away my connections if I do not keep up with them within a 'reasonable' amount of time. So I made a time schedule to keep my professional, family and learning time well balanced. I swiftly scan my feeds for interesting information, I stop roaming for knowledge after a set time (depending on the priority and deadlines), and I plan at the beginning of each week. And to gain time: I skipped reading three news papers a day (I keep up with one, while pulling in feeds from others based on keywords), the television set is off most of the time (I do watch documentaries while commuting). I rearrange my feeds every couple of months, keeping them as relevant as possible.... and other such time saving things. I increasingly depend on my (old) mobile device as well, as it shrinks the information down to a minimum. ... well, a lot of things are mentioned by all the other commenters on the Big Question, so let me become more personal, because what happens if your time schedule is scrambled by an inexpected human factor? So why did this question come at a crucial time for me? Well, my close circle of friends and my partner are essential to me. In their company I do not look strange, my dynamic enthusiasm does not result in remarks to become more at ease, they do not mind that I skip between topics or that I sometimes glow because I have a (what I think) incredible idea. So yes, they are essential to me. Unfortunately/fortunately, this suddenly scrambled my 2.0-time schedule. The last couple of months my partner fell ill. So all of a sudden I needed to keep the household running (normally we really divide everything: cleaning, cooking, washing...). This meant that by the end of the day, I just could not open my computer to start blogging, chatting... I was exhausted and did not want to risk becoming ill as well. So I did what I used to do: throw my home computer out of the door to disable temptation in an attempt to keep myself sane. But as I mentioned above, this feels a bit strange. I seem to loose out on things, I no longer have the time to read every tweet, feed ... even filtering information is downsized to an amazing minimal. So I feel a bit disconnected, as if one of my dear friends suddenly does not get the attention they deserve... yes, the machine is a human. The reason I blog now is because I am abroad, knowing that my partner is eating cooked meals I prepared and freezed to ensure a good vitamin intake. 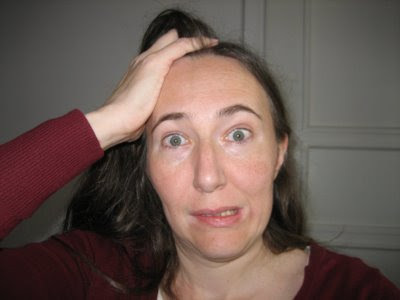 But is it normal to be soo anxious if your regular online time is downsized by very human reasons? 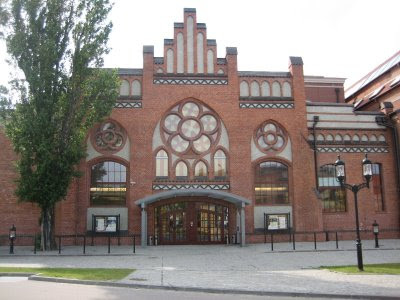 The EDEN (10 -13 June 2009) conference is starting in Gdansk, Poland. You can follow the conference on the conference blog. Today there will be a book launch during the welcoming reception (Distance and E-learning in Transition,Learning innovation, technology and social challenges Edited by Ulrich Bernath, András Szücs, Alan Tait and Martine Vidal, EDEN) looking forward to reading it. To get an idea of what is being twittered about it, I made a 'twitter fountain'. And here it is, the twitter fountain for EDEN with pictures of Gdansk in het background of the fountain. The proceedings of the mLearn 2008 conference are now available for free download in pdf format from the conference website www.mlearn2008.org (note – it is a 10Mb file). Thanks to the conference organisers for making the proceedings available as a service to the mobile learning community.